Home / anime / animexover / comics / cosplay / cosplayer / Gallery / games / manga / news / See the colourful characters at AnimeXover! See the colourful characters at AnimeXover! 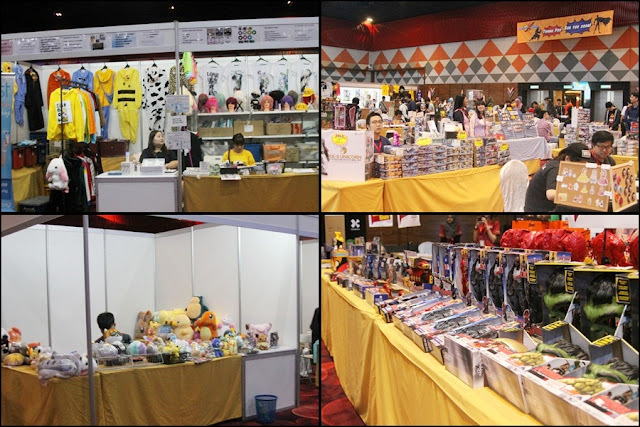 The inaugural AnimeXover event took place last weekend on 8 and 9 April at Sunway Pyramid Convention Centre, presenting some of the biggest and upcoming stars from the anime world! 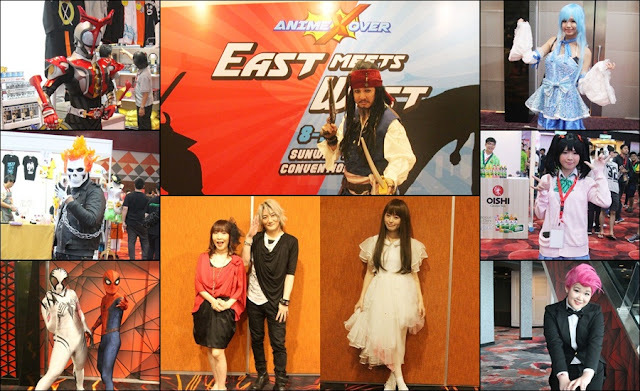 With the theme “East meets West”, the event featured an array of cosplayers dressing up as famous characters from anime, manga, games and comics, some of them include Deadpool, The Necromancer, Captain Jack Sparrow, Kamen Rider and more! A variety of booths selling anime, manga, games and comics-related goods. Some of the exhibitions at the event. The event also featured performances from DJ Ram Rider, dance group TEMPURA KIDZ, model-turned-singer Anna Yano, and Jrock duo angela. This event marks angela’s third visit in Malaysia. When interviewed by TheHive.Asia, the duo mentioned that they enjoyed the Chinese food here very much. 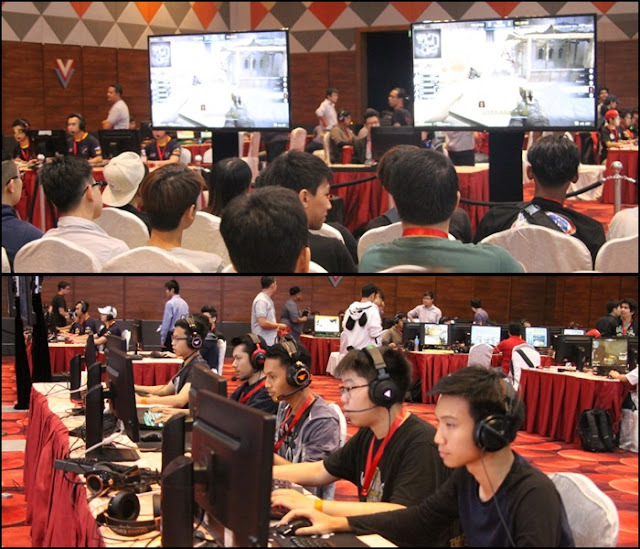 “When we visited here last year, we had a really great time here in Sunway Lagoon. We also love the Chinese food here as we feel that it suits the Japanese taste buds, and we love satay too!” said lead singer of angela, Atsuko. Meanwhile, Anna Yano who came to Malaysia for the first time said that she is interested to try out the local snack otak-otak. “I'm an otaku, and I found out in Malaysia that there's a food called otak-otak (pronounced like otaku), so I did a research on the food and is very interested in it. I will definitely buy some and take it back home to Japan,” said the 25-years-old singer. 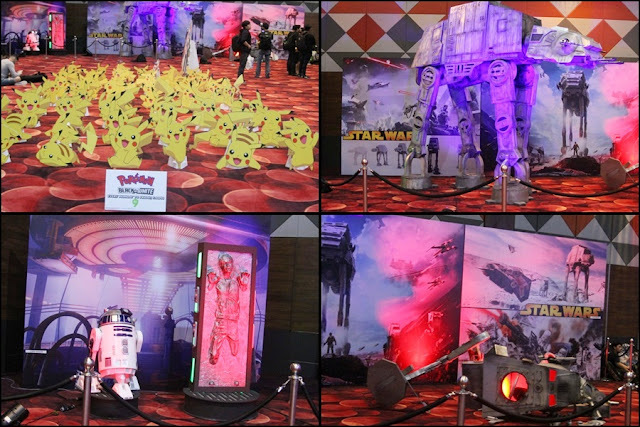 Check out the creative cosplayers below. Captain Jack Sparrow from "Pirates of the Caribbean" series. Mavis Vermilion from "Fairy Tail"
The Necromancer from "Lord of the Rings". The Sniper from "Sniper: Ghost Warrior". Yuuki Asuna from "Sword Art Online", ALfheim Online version. Kamen Rider Kabuto, Hyper form. Sun Wukong from "Journey to the West". Mr. Magikarp trying to catch a bunch of Pikachu. Umaru Doma from "Himouto! Umaru-chan". Cybercop Jupiter from "Dennou Keisatsu Cybercop". Yazawa Nico from "Love Live!" Mina Carolina from "Attack on Titan".